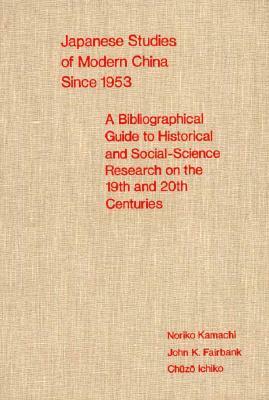 Harvard University Press, 9780674472488, 528pp. The present volume is a supplement, equal in size and scope, to the volume published in 1955, Japanese Studies of Modern China, by John K. Fairbank, Masataka Banno, and Sumiko Yamamoto. Summaries and critical evaluations of more than one thousand books and articles are arranged by topics. There is a comprehensive general index and a special character index to establish the correct readings of the names of Japanese authors.